Designed to be outdoor mountable, this 16” x 72” gray permanent banner stand is ideal for exterior retail advertising or wherever outdoor displays are desired. 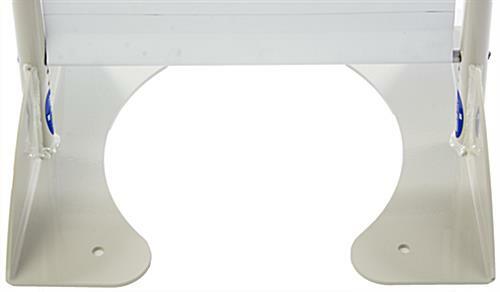 With 100% aluminum construction, the powder coated fixture is modern, extremely durable, and made in the USA. 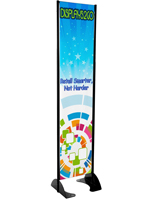 The single-sided banner stand is sold with a one-sided vinyl flag that is printed from your own custom graphics. Simply download the template & submit artwork during or shortly after checkout. 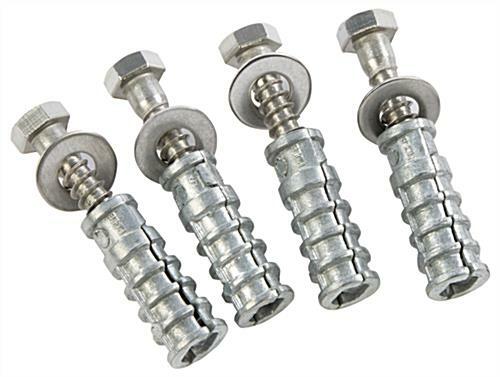 The spring loaded tension bar makes it the perfect outdoor display for your advertising material as it keeps your graphic flag tight, yet easily changeable, and durable throughout inclement weather. 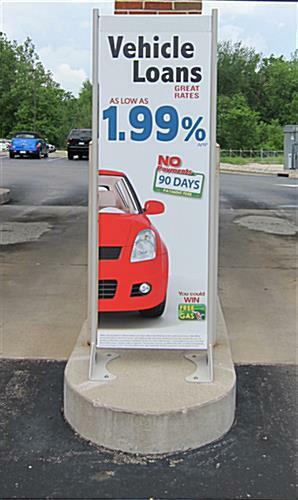 This outdoor mountable permanent banner stand is can withstand up to 60 MPH wind velocity!